LAURA COX : Bacon Vodka, Anyone? 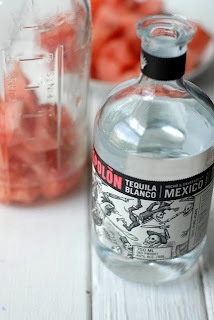 I've recently been hearing a lot about infused vodkas so I've been doing a little research on the topic. While I'm not a huge vodka fan, I do like the idea of infusing different alcohols with fruits and herbs of your choice. 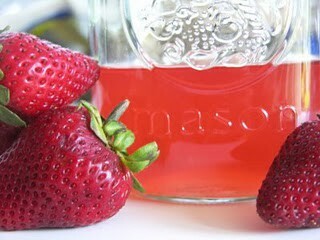 Coincidentally this weekend when I went home, my mom treated us to some of her own strawberry infused vodka. 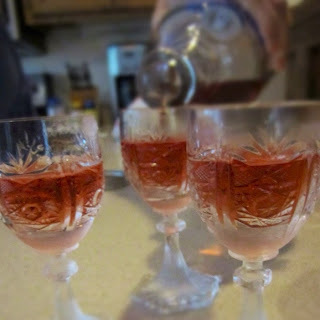 She served it in these little dainty etched crystal glasses my dad brought home from Austria several years ago. The vodka was great, and something about that tiny chilled crystal glass made it even better. Here are some of the combinations I'm interested in trying. 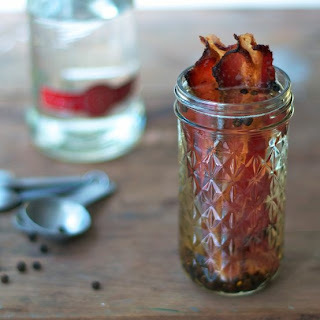 Bacon Vodka- would be so good in a bloody mary! I've seen several people using a French press to do this, which is so smart. 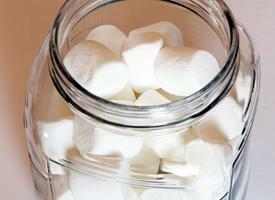 Just let your liquor and add-ins steep in the French press for a few days, then run it through the filter, and voila! Last night I went through our liquor cabinet to see what we had that might need a little sprucing up. Found some rum, which is something that I never drink. I had also just trimmed down my mint plant, so I decided to combine the two. We'll be having mojitos this weekend!